The Jeep Wrangler as we know it is about to change. Or, at least, that’s what FCA tells us. A new version of the iconic, military inspired all-terrain machine is scheduled to arrive next year. Enthusiasts will call it the JL. The current model, or also known as the JK, will continue alongside the new Wrangler next year. Meanwhile, FCA wants to remind us of Jeep’s Legacy with this: the Chief Edition. It’s definitely flashy, and very blue. However, driving it still feels the same way as, well, any other Jeep I’ve driven for the past decade. I’ve never sampled a vehicle I’ve hated so much and then suddenly fell in love with. It’s mostly aesthetic. 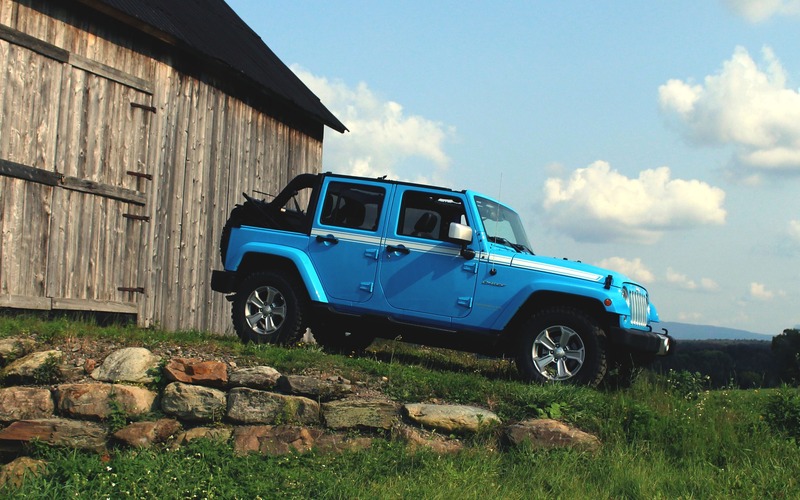 However, it doesn’t prevent the thing from being a bit cooler than a standard Wrangler. Paying tribute to the Jeep Cherokee Chief of the 1970s, this special-edition Wrangler is a throwback to it, but only in spirit. If you want one, you’d better hurry, because production is already finished. Only three colors are available with this one, Chief Blue being the most symbolic. All Chief Edition Wranglers come with a white side stripe, a white hardtop roof, as well as a conventional ragtop. Chief lettering on the fenders as well as a somewhat kitschy looking “4 Wheel Drive” sticker on the rear gate complete the “look at me” package. As for the rest, the basic Wrangler formula remains unchanged. Power still comes from FCA’s corporate 3.6-litre V6, dubbed Pentastar, which loves to rev and operates in utter smoothness. Jeep claims a power output of 285 horsepower and 260 lb.-ft. of torque. A six-speed manual transmission is standard, and a five-speed automatic is optional. My tester was equipped with the automatic; it’s not the quickest shifting setup out there, nor the smoothest, but considering how people will use this vehicle, it definitely gets the job done. The Chief Edition package can only be added to Sahara Unlimited models, which come with “creature comforts” such as leather seats, dual-zone climate control, LED headlights and steering wheel-mounted audio controls. All Chief Edition Wranglers come fitted with an Alpine, nine-speaker premium sound system. Of course, being a Wrangler, Jeep’s renowned Command-Trac part-time, transfer-case operated four-wheel-drive system is standard. When I say I hated the Wrangler, what I mean is that it’s definitely not the most refined driving experience I’ve sampled. In a world where sport utility vehicles are essentially big cars with all-wheel drive systems, the Wrangler stays true to its roots by being a true ladder-on-frame four-by-four with live axles. This means that no, it’s not the most comfortable ride on the road. Drive over a train track too fast, and the entire thing wobbles undesirably, sending jolts through your spine as if someone has just knocked you on the head with a hammer. If you have back problems, don’t drive a Wrangler. Other rudimentary shortcomings include doors that don’t close properly, and require a solid thump to remain firmly shut, a dated infotainment system with no backup camera (good luck at the mall), handling characteristics that mimic those of an ox kart’s, intense wind and road noise at highway speeds, ridiculous fuel consumption (14 L/100 km average) and a soft top that un-velcros itself on the highway. Speaking of soft top, sure, the Wrangler is a convertible, and yes, you can still remove its doors and fold down its windshield, but removing the top is an adventure all on its own; a complex procedure of taking apart sections and remembering in which order to fit them all back together. But none of this will matter once you own your Wrangler. You won’t purchase one because it makes sense, or because it’s an objectively good car. You’ll buy a Wrangler because you’ve always wanted one. Chances are, as you’re reading this, you’re already sold. The 2017 Jeep Wrangler is a vehicle you purchase with your heart, not with your head. And to be fair, there aren’t many cars out there that still have this much of a lovable character, making the old brute a hard one to hate. 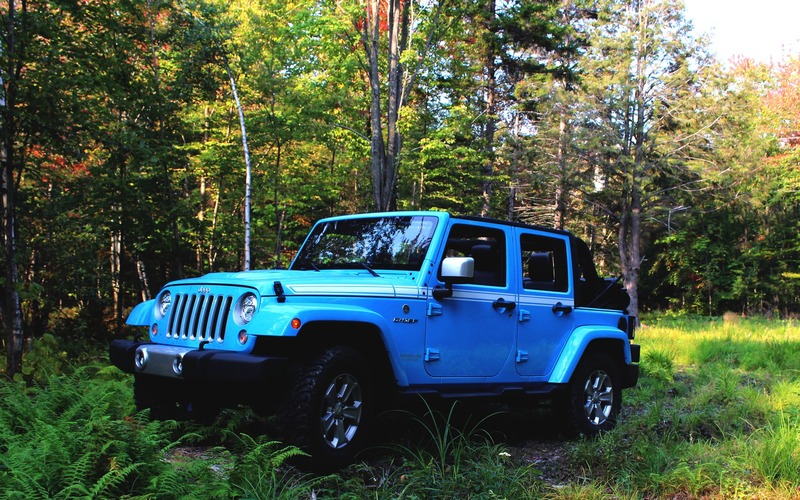 Once you’ll head out in the woods with one, top off, and crawl over pretty much everything Mother Nature will throw at you, you’ll understand the Wrangler’s purpose. However, it’s when other Jeep owners will wave at you on the road that you’ll know you’re driving something truly unique. The cool factor is definitely up there. If there’s an actual sport associated to owning sport utility vehicles, the Jeep Wrangler definitely symbolizes it. You need to be in shape to own this thing. 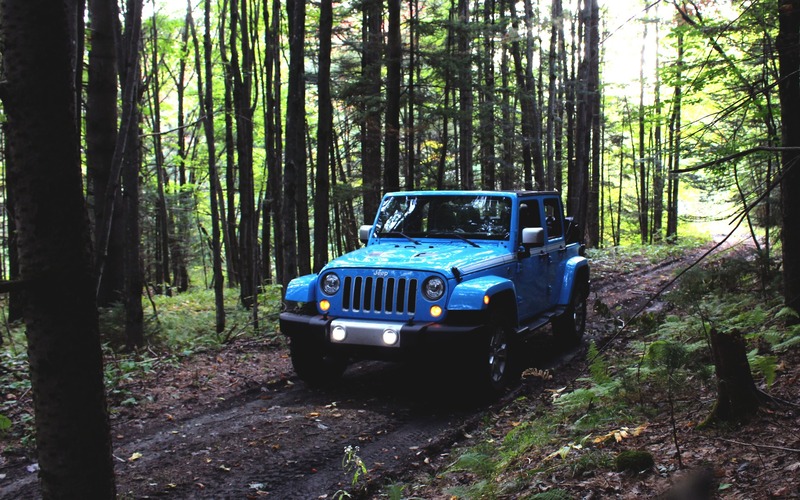 If your weekends consist of cross fitting, camping and hiking mountains, if you’re the kind of individual that takes pleasure out of returning home with bleeding shins and sore ankles from your adventures, then the 2017 Jeep Wrangler is definitely a vehicle you need in your life. 6/10	Leather seats are comfortable, but the entire vehicle is loud and bounces around over road imperfections. 8/10	Still one of the most capable off-roaders out there. 6/10	Very basic design, dated interface, lack of connectivity features such as Android Auto or Apple Carplay. 8/10	As rudimentary as it is, driving a Wrangler is a unique experience! 7/10	Remains fun to drive, especially with the roof off. There are very few vehicles out there that will follow it in a trail. No offense to the many Canadians who were perfectly happy with the Jeep Compass and Jeep Patriot, but they weren’t very good vehicles. They were outdated quickly after they appeared on the market, and they represented the Chrysler of 2008 that went bankrupt and has since fallen into Italian hands.